Година: 2012 24 x 40 мин. Having been accused of murder, Brennan is on the run from the FBI, with help from her father Max. Booth and the Jeffersonian team are convinced evil tech genius Christopher Pelant has manipulated key evidence in the case to pinpoint Brennan as the prime suspect. Then, an anonymous tip leads the team to the remains of a high school guidance counselor that may hold the key to proving Brennan\'s innocence. The Jeffersonian team investigates the murder of a high-powered divorce lawyer with a lot of enemies. The plot thickens when the team discovers that the attorney\'s wife and assistant have been hiding crucial evidence which could help solve the case. Meanwhile, Brennan tries to adjust to life after being on the run, and tensions start to rise between her and Booth as the impact of their three-month separation begins to take its toll. An investigation of human remains found in the aftermath of an explosion in a hotel garage hits a snag when the team learn their assumptions about a man\'s fate are incorrect. Meanwhile, Sweets gets a temporary partner at the FBI. The team\'s investigation of the death of an animal expo worker leads them into the shady market for illegal animal trading. Meanwhile, Brennan considers her political aspirations; and Sweets and Daisy confront a change in their relationship. The Jeffersonian team investigates the death of a woman whose body was found mutilated and discarded in a city garbage can. Meanwhile, Booth invites Sweets to stay with Brennan and him while Sweets searches for a new apartment. Brennan\'s new fascination with basketball and legendary coach Phil Jackson\'s thoughts on teamwork prompts her to gather five of her best \"squinterns\" to analyze remains that have never been identified. A street artist who is plastering his work on a billboard falls into his glue—and onto a corpse—so the team try to get him unstuck from the remains as they also work to identify the body. Meanwhile, Booth takes a stab at stand-up comedy at a club\'s open-mike night to look for suspects; and Angela finds herself attracted to the street artist. The Jeffersonian team investigates the death of a professional ballroom dancer who was murdered three days before her audition on a popular dancing competition show. In order to solve the case, Brennan and Booth go undercover as dance competitors to see if they can find potential suspects. After Hodgins and Angela are drugged and wake up to a bloody corpse hanging in the canopy of their bed and flower petals around their son Michael\'s crib, they are forced to believe that Pelant is back for revenge against Hodgins. Although Hodgins wants to go after Pelant directly, Booth knows it\'s best to work within the system and not go against protocol. Meanwhile, as the Jeffersonian team investigates the corpse, they discover the victim was a Special Forces agent working for the world\'s biggest supplier of mercenaries, and Angela and Hodgins decide to start an investigation without the rest of the Jeffersonian team for the sake of their family. 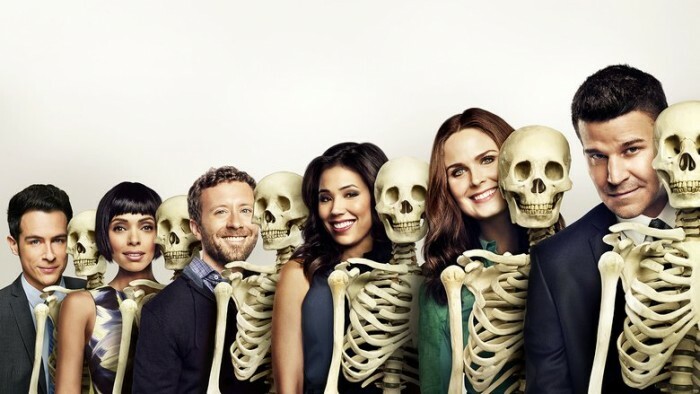 The Jeffersonian team investigates the remains of two bodies that were found at the same burial plot: one of a female cancer patient; the other, the cancer patient\'s \"doula,\" who was guiding her through her grieving process with the illness. Meanwhile, with a spotlight on the case, Brennan and Booth start discussing their individual choices for after-death arrangements. Also, Daisy Wick returns for her first case after her break-up with Sweets. The dismembered body of a roller derby skater means Angela goes undercover at the rink to find more clues to the woman\'s murder. Elsewhere, Cam worries over the sheer number of doctor appointments Booth is going to, and presses him for details. When Brennan is shot while working late at the Jeffersonian lab, she is rushed to the hospital in critical condition. While at the hospital, she struggles with visions of her mother that defy her usual logic. Meanwhile all evidence suggests that Brennan\'s attacker may be linked to the Jeffersonian. The Jeffersonian team investigates the remains of a 15-year-old boy. Although his mother and few close friends saw him as intelligent with poor social skills, the team discovers that this seemingly innocent boy was actually involved in illegal activity and had attended a high school party two weeks prior where drugs were present. The investigation takes an ugly turn when an underage girl confesses to being raped and the deceased boy’s reputation is compromised. Meanwhile, with the case’s spotlight on deception, intern Finn Abernathy contemplates telling Cam that her daughter Michelle is in town visiting for the weekend. When extremely educated new intern Dr. Oliver Wells (Brian Klugman) starts working at the Jeffersonian, his quick-learning, enthusiastic personality challenges Brennan as he gets under her skin with his eccentric but undeniable observations, causing her to try to be more open-minded about many scientific questions. Meanwhile, Booth worries she may have gone too far when she accepts the possibility of time travel as a factor in a murder investigation. When the Jeffersonian team investigates the death of a former Marine sergeant whose remains were found burned to a crisp, they discover that she was discharged after a fist fight with another Marine. 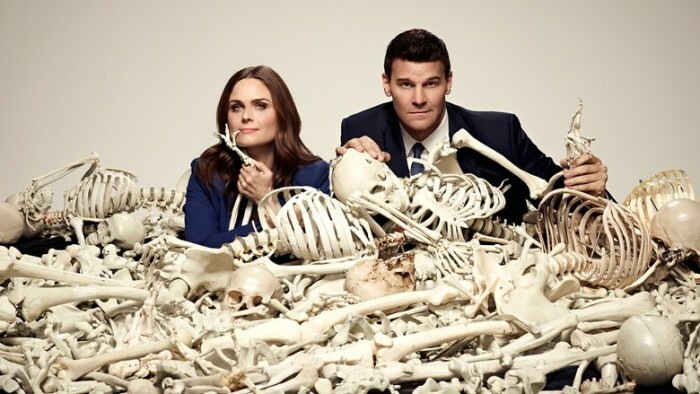 When Booth and Sweets go to question the other Marine involved in the altercation, they learn that Deanna was obsessed with the idea of the apocalypse, which leads the team to a following of doomsday preppers who become key suspects in her death. Meanwhile, Sweets thinks he has landed his dream apartment but Brennan and Booth are not convinced that he will actually move out. An undercover police officer, who was investigating a string of ATM robberies, turns up dead in a van with a bag of diamonds found inside his mutilated body. So the Jeffersonian team must figure out whether or not the ATM robbers are also murderers, or if the cop was crooked. Meanwhile, Brennan is the subject of a documentary commissioned to raise funds for the Jeffersonian, and she struggles to be likeable on camera. The Jeffersonian team investigates the murder of a TV producer. Meanwhile, Brennan has trouble accepting the fact that Christine might be an \"average\" child, when her daughter gets accused of biting another classmate. Then, Hodgins uses all of his tools at the Jeffersonian to chemically recreate Finn\'s special hot sauce. The Jeffersonian team investigates the murder of Jack Spindler, a successful employee at a brokerage firm by day, but a stripper by night. When the team learns how Spindler\'s moonlighting affected his personal life, they start to question the people closest to him, including his stripper friend, Storm. Meanwhile, Booth\'s mother shows up after a 24-year absence in his life and makes a special request of him.